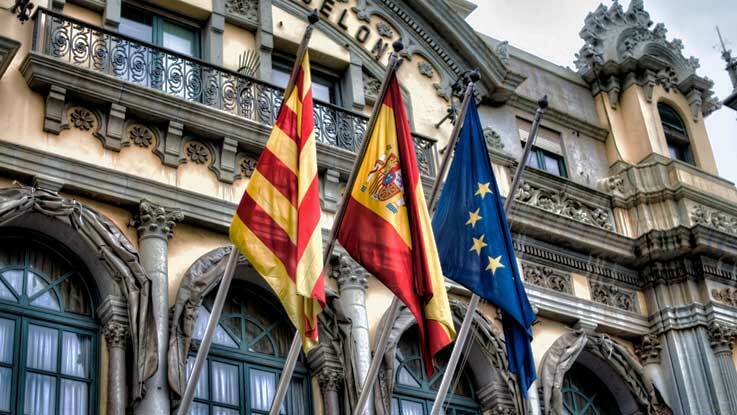 Catalan Independence: Can Catalonia Declare Independence from Spain under International Law? There is no right of secession of Catalonia from Spain extant under international law. The right of self-determination in international law in not unconditional, and the unilateral secession of a territory from an existing and functioning sovereign state must be legally justified, especially when we are referring to the liberal-democratic independent state of Spain. There is no legal basis for recognising Catalonia as an independent nation from the perspective of international law. Catalans have their representative in the central government and they are neither colonised, oppressed nor discriminated against. Catalans exercise their internal form of self-determination via a large degree of autonomy. Moreover, a distinct culture per se does not constitute basis for self-determination in international law. The claim of the separatist Catalan movement to the right of self-determination potentially could have had more merits during the era of General Francisco Franco, which set out to destroy Catalan autonomy. Proponents of the Catalan independence try to invoke the examples of other nations and claim that the situation of Catalans is alike. Similar situations must be treated similarly and different situations differently. Unlike Catalonia, it is easier to argue for the Kurds’ right to self-determination: they have faced oppression and chemical attacks. “Their semi-autonomous region, furthermore, has been part of a state that has proved incapable of sharing power or serving its people.”1 However, even then it is unlikely that from an international law point of view the right to self-determination should have been exercised without Iraq’s consent. Moreover, Catalan´s separatist movement tries to invoke Kosovo’s unilateral declaration of independence from Serbia and the Advisory Opinion of the International Court of Justice2 . However, Kosovo and Catalonia are incomparable and Catalans are not oppressed. Catalonia has not been subject to a political and military occupation and no international force was needed to liberate it, and Catalonia has not spent a decade under UN control. Moreover, from the perspective of international law, it could be argued that states recognizing Kosovo as an independent state breached their legal obligation to respect the sovereignty and territorial integrity of Serbia. The application of the right of self-determination in international law as established in the UN charter in the post-colonial era has been fraught, as it contravenes with the territorial integrity of the sovereign states. As a general rule, only colonial territories have this right. In international law, self-determination is the right of “all peoples” to “freely determine their political status and freely pursue their economic, social, and cultural development”3. Pursuant to United Nations (UN) resolution 2625, this safeguards the principle of territorial integrity: the political unity and territorial integrity of the states4 . The question does not concern a mutually agreed secession. For the legal declaration of Catalan independence, Catalonia would need to reach an agreement with the Spanish Government on succession. The prohibition of use of force in international law has been in force since the first half of the twentieth century. The European approach toward self-determination and secession excludes excessive use of force, i.e., European examples show that such issues can be dealt with more calmly. For instance, the dissolution of Czechoslovakia occurred in a peaceful manner. All in all, the Catalan independence is a matter of Spanish internal affairs. No right of secession of Catalonia from Spain exists under international law. The author is passionately committed to the idea that the international community will wait for the internal resolution of the situation and respect whatever decision is made. The EU would not intervene unless the Spanish government uses excessive force in Catalonia. Catalonia will not become independent without Spain’s consent. 2. http://www.icjcij.org/docket/index.php?p1=3&p2=4&case=141&p3=4 [Accessed: 19th November 2017]. 3. International Covenant on Civil and Political Rights [Accessed: 19th November 2017]. 4. Declaration on Principles of International Law concerning Friendly Relations and Co-operation among States in accordance with the Charter of the United Nations. [Accessed: 19th November 2017]. 5. https://www.ft.com/content/75809b68-a856-11e7-ab55-27219df83c97 [Accessed: 19th November 2017].